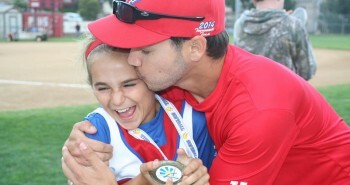 THE most asked question I get is how many pitches and/or how many days a week should my daughter pitch? Sometimes I think parents just ask me this question so that their daughter can hear me say or read that I say 1000 pitches a week or 6 times a week. It’s like parents are trying to use me as their backup and be able to say, “Seeeee, Amanda said you should pitch x amount of pitches every time we pitch.” Unfortunately, there is no magic answer for this question! I totally wish there was (it would make my answering questions a lot easier with an answer less lengthy). I can easily say this as a GENERAL RULE. If you are practicing 3 times a week, you are most likely just staying the same. 4+ times of practice a week you are getting better and less than 3 times a week, hmmm how can I put this….? you probably aren’t getting better. (Please remember this is not a one size fits all rule, this is just a general statement. There are ALWAYS exceptions). I could throw out so many different workouts, but here is a general one where you can start if you are not pitching in games yet. 4 times a week, 100 pitches a day. That answer is the easy way out! There is no uniform answer for every single person who asks me this question. In fact, every person will be extremely different. We are built differently with different strengths, flexibilities, minds and overall athleticism. We learn differently. We adapt differently. But let’s try to work through this……The biggest question I can ask BACK TO YOU to answer is, “Are you getting the results you want on the weekend when it’s game time?” The answer is either yes or no. If it’s no, then you need to practice more. If it’s yes, then you can keep doing what you’re doing. Write it down! Write down how many pitches you throw and exactly what you work on for every practice. This way, if you have a successful weekend, YOU can come up with YOUR OWN game plan about how you want to attack your practice plan. I’m going to be completely honest…sometimes life isn’t fair…. Some pitchers may only have to pitch 1 time a week on their own and still go and dominate in a game. Those are the pitchers we are all so envious of. They are the naturally gifted athletes who are competitors and come from a genetic gene pool we can all only dream of. Some pitchers may have to practice 4 times a week before they are able to go and dominate in a game. The one thing I know is certain – you can’t compare yourself to anyone else. You are you. This whole pitching thing is a LOT of work, I tell ya. 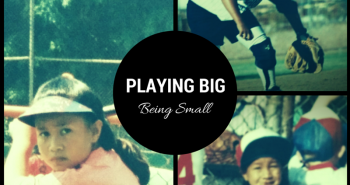 It’s more than just learning how to pitch the ball and learning different pitches. Pitching is taking the time to understand what works for YOU and a big part of that is practice routine. It’s impossible to remember and make a practice routine without writing it down. It’s your own personal way of trial and error. Have a pitching journal that is YOURS and be able to write down any thoughts or feelings or anything you are working on in that journal. “Okay on this week I pitched 2 times a week and threw 100 pitches, but I could have done better on the weekend. So next week I will pitch 3 times a week and throw 75 pitches each day and work on my spin every day while watching my favorite TV show.” For every pitching practice, have a focus (i.e. leg drive, endurance, accuracy, spin, location, attitude, body language.) Mix it up! 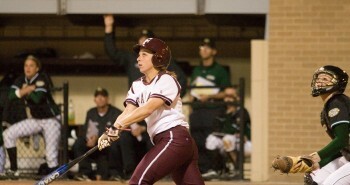 Try to engage the pitcher and have her pick what SHE wants to work on! You can even There is ALWAYS something you can be working on. Even the best of the best have something they need to work on! You see this question of how many times to practice a week is such a blank canvas for YOU! I can tell you what worked for ME, but I am not YOU. What I can tell you is that I had to work my tail off to get to the level I played at. I can tell you there were days I didn’t want to practice, but did anyway. I can tell you there were days I didn’t want to practice and ended up just taking a day off and listening to my body. I can tell you there were days my parents pushed me to pitch when I didn’t want to (although they were way fewer than the days it was initiated on my own). And I can tell you every week was probably a little bit different. Life happens and causes us to not get out as much as we “should” on some weeks. But the week after that, do you continue to be “busy”, or do you sacrifice and find time to make the next week better than the week prior? It is MUCH easier to just ask me to tell you a magic number of pitches to throw a week and you go and do it and we hope for the best. But to me, it is way more fun to figure it out on your own. It’s like a mystery and a puzzle. Every person who asks me the question of how many times their daughter should practice is at a different level than the next person who asks me. Remember, every month may be a little different for what your body needs. Take the time to listen to it. Take the time to go through your results from the weekend and investigate. When I gave up hits, were they good pitches? In the game, did I throw as aggressively and intensely as I possibly could have thrown? Was I getting ahead of hitters? Was I able to try out the new pitch I have been working at in the game? How did my change up work? Were my outs coming mainly from pop ups or ground balls? What pitch did I throw the most? What pitch did I throw the least and need to work on? I firmly believe YOU are your best pitching coach, I promise!! It just takes a little bit more work and belief in yourself and your knowledge. As a family, come up with a schedule TOGETHER, as a team for what fits best with your schedule, what you need to work on, and reflect back on your past outings! If you can, pitch 6 days a week! If you are questioning whether to go out and practice or not, GO! The more reps you can get in, the better you are going to become and build a better foundation for your future! Pick up a ball and spin it in your living room or pick up an orange and spin it in the grocery store! There’s so much more to becoming a great pitcher than just pitching FULL distance from the pitching rubber! Next postWhat’s Taking Away From Your Confidence? 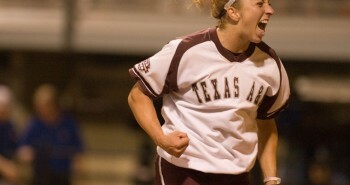 I love you advice and enthusiasm for life and the gameof softball!! I wish I had someone like you to look up to when I was young! Thank you for this article. It has really helped a lot. My daughter thinks a lot of u following meeting you at NCTC. So sweet! Love to hear that! I totally agree with your article about how much to throw. It is a very individualized situation. My daughter was a three time all state pitcher in Ohio and played at Ohio St. She had over 1,000 k`s in her high school alone, not to mention her travel team in the summer. I was impressed you mentioned the girls should be sitting around at night spinning the ball. After all that is what makes it move. Unbelievable how many pitching coaches do not teach taking time to just spin the ball. Good technique will certainly prevent most arm troubles, however the arm and shoulder are not the only body parts that get abused. The knees can really take a beating after 8-10 years of pitching, especially if she really leaps and drags. I am new to your site, looks like I will keep reading..Thanks! Sounds like your daughter had it going on!! Agree with you about the knees!! Welcome to my website! I have over 70 blogs on there! Be sure to follow me on Facebook too – http://www.facebook.com/amanda9scarborough I post all kinds of stuff on there as well! And event notifications! I want to pitch but I am not very good. I practice sometimes but I don’t like to because I have nobody to pitch with. I am the only girl and I have three brothers. I would practice with them but they say they don’t want to wast there time doing stuff they don’t like. My dad helps me sometimes and tells me what I’m doing wrong and that helps me a lot. My mom even helps me sometimes. But I don’t know what to do when know one practices with me. Do you have a net you could pitch into in your back yard? If not, ask for one for your birthday! If you don’t have room for that, make a ball of socks up that has a decent weight to it and throw it against your wall, or better yet, if you have a mirror, throw into a mirror and watch your pitching form. Do LOTS of reps WITHOUT A BALL and work on going at an aggressive speed and working on the best form and balance you can have! IMAGINE and FEEL a ball in your hand to get the most out of those reps. I have pitching practices an pitch for over an hour. My left hand (pitching hand) tends to swell up after pitching a while. My hand tingles. Sweats. It tends to feel numb and sometimes hurts to throw if I throw to long. Will a compression sleeve help at all? Ask your doctor! This is not uncommon! Especially when it’s cold outside! Thanks for the advice. My daughter is 8. We practice 3-4 a week. She is all about softball. At home she is always snapping the ball into her glove or throwing a sock at the wall. Cute! That’s when you know you live it! Omg I love you , you Re so awesome I learn so much from you. I learn so much from you and when my friends ask how to pitch I already know because of you! U du best!! Wow sorry bad spelling day today. I coach a 16U travel softball team and I am a first year coach. I learned a lot from this article! One question though: does warm up pitches count in the 100? Thanks for sharing your great knowledge of the sport and for keeping it positive :). Nah, I wouldn’t count it! I’m a high school softball coach, and I struggle with exactly what my girls should do…Do you have a workout plan? Like when you threw your 100 pitches, was it one pitch at a time, or mixing up all of your pitches? Were you working on accuracy, so doing situations where you had a pretend batter? Does the 100 pitches a day include drills? I guess I”ve been looking for a set plan of what they should do each day at practice, and I’m not finding one… Thanks for your help! You’re videos and articles are great! You know, there really isn’t one because every pitcher is so different! And I have never made one simply because I am more of a feel type coach – I want to hear from the player’s mouth how they’re feeling, what they’ve done earlier that week and how many games they threw last weekend and what they will throw this weekend. It’s hard to make a set practice plan and tell every pitcher across the board to throw a set # of pitches, because every pitcher is so different with so many different variables! I think that’s why you don’t really see it! to me, at age 9, it matters more about her FOCUS and her attention span than it does her arm. She’s young, a lot of energy, but 100 pitches is a lot for a 9 year old to focus each pitch on, especially at at time when she is building the most important mechanics/foundation for her future and every rep is either making you a little better or a little worse. Thank you so much! I will take this to heart and focus on quality over quantity. We appreciate all you do to help our young girls develop! Love the site. Using your experience both personally and from coaching, what do you think is a reasonable increase in fastball speed over time between a girl that is in 8th grade and when she is a senior in high school? 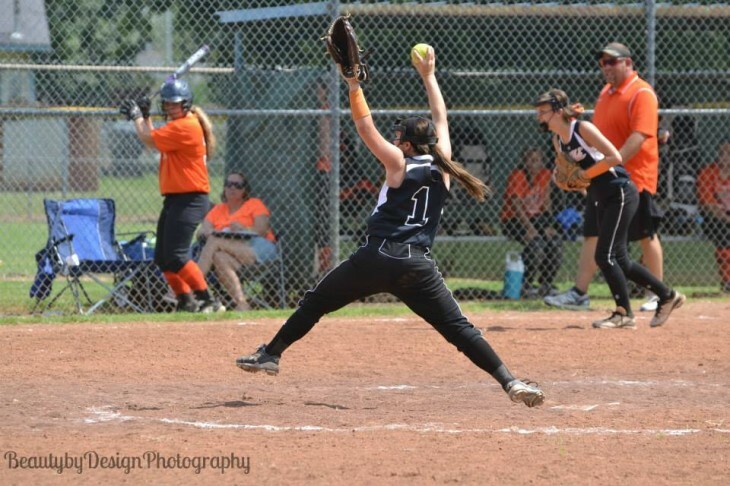 Said another way…if she pitches 55mph in 8th grade how much faster could she get? What is reasonable? How many pitches do you feel is okay in one day during a travel tournament? My daughter is 13 on a travel team and her coach had her pitch 3 games back to back with the exception of 3 innings. While she was tired by the end of the day she didn’t hurt but the following 2 days were painful for her whole body! She threw 360 pitches that day. I feel like that is too much for one player on one day! The coaches disagree with me and say my daughter should have said if she didn’t want to pitch anymore on that particular day. I’m curious what your feelings are about this as I really can’t get an answer from anyone about how many pitches a fastpitch pitcher should pitch in a weekend tournament. Thanks for any insight you can share. My daughter always pitches faster in practice than during games. She doesn’t know why. How can this be corrected? My daughter just turned 10 years old. She has been in pitching lessons for about a year now. She pitched 5 games last weekend at a tournament. Is that too many for her in a day? Shes never pitched more than 4 games in a day and she’s really sore. Also, she pitches around 43 mph right now. What are the best drills for increasing speed?